My husband and I bought the large plant with its multicoloured leaves and proudly brought it home to our front yard. Purchasing a large decorative container, I placed it there with some potting soil. Shortly afterwards, it looked ill.
Moving it from one spot to another didn’t help. I watered it a lot. As I recall, that didn’t help, either. So, I stopped watering it and allowed the rain to give it moisture. Finally, it seemed that it was a lost cause. Being busy and not really concerning myself with the yard, I forgot about the plant which looked like barren sticks protruding from the large blue pot. This afternoon, I took a few moments to sit outside in the sun. Casually looking over to the area in front of our house, I noticed the plant in the blue pot. New green leaves were coming out on the lifeless looking branches. It had not died, after all. Even though I had given up on it, all was not lost. Sometimes we give up on other people in our lives. We try to help them through difficult times. When one thing doesn’t work, we try another. But after awhile, it’s easy to just give up and forget about them, isn’t it? Even though we may forget them, God does not. When we fail to have compassion and love, He still does. When others look like barren branches, He still sees life within them, and all they can be through His strength. 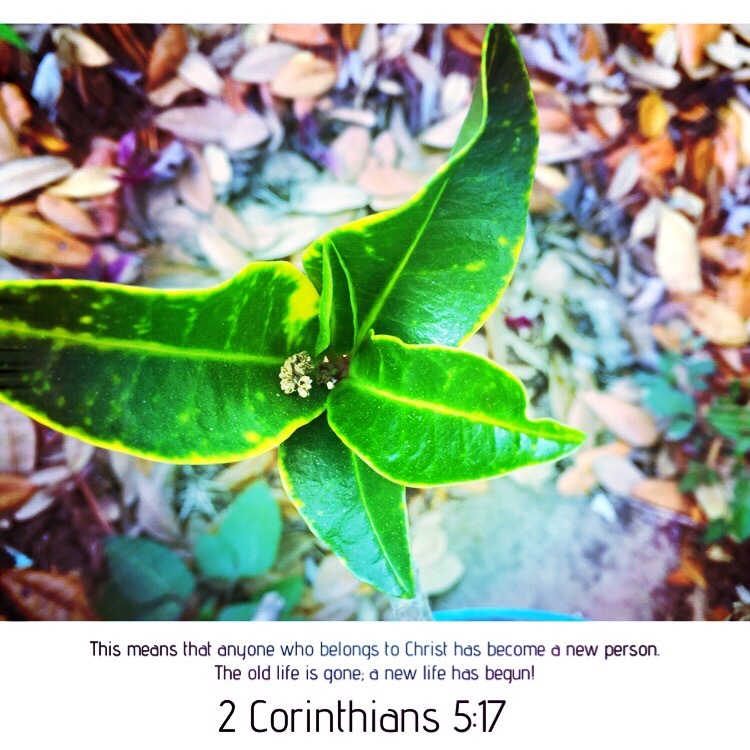 This entry was posted in Bible verses on photos, Inspirational photography and tagged plants. I’m glad! Have a beautiful week!! !